Borracho in English is drunkard. This painting was inspired by Emigdio’s perspective of the grit of humanity. 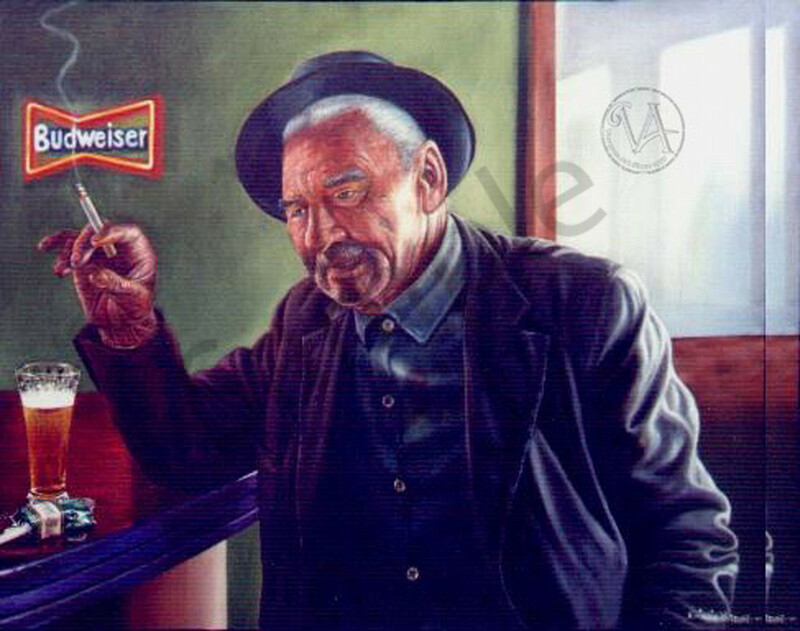 Borracho portrays a lonely drunk whose self-worth is telling and retelling timeworn and exaggerated stories of his lost youth in a bar. His worn condition is how he wears the evidence of his years of human vices. This Limited Edition Giclee is 24 x 30, its original size. There are only 120 high quality canvas prints available including a Certificate of Authenticity. The price is exclusive of any tax, shipping, or frame.